You’ve seen this scene before: A group of men huddled together in one spot at the mall, most likely where the benches are located, patiently fighting boredom while their female companions go from one shop to another. Does it sound familiar? Can you relate? This happens so regularly that a Chinese mall has introduced “husband storage pods,” or glass cubicles equipped with comfortable chairs and a variety of video games. Before you get too excited about the idea of shutting yourself in a game-ready cube, Southeast Asian e-commerce giant Lazada Group offers an alternate solution—one that lets you have a comfortable and also a fun shopping experience. Men’s aversion to shopping may soon change with Lazada’s “shoppertainment” concept, which it claims is the first in Southeast Asia. A portmanteau of “shopping” and “entertainment,” the concept is designed to give consumers an engaging way of purchasing stuff. 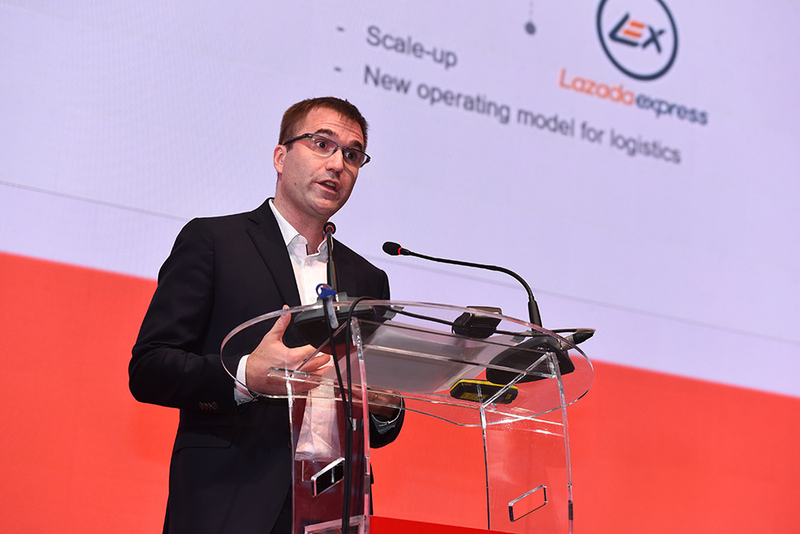 “That’s how we believe we will gain the eyeballs in Southeast Asia and essentially win when it comes to retail,” said Pierre Poignant, Lazada Group’s chief executive officer, during Lazada’s inaugural Brands Future Forum on March 21 at the JW Marriott Hotel in Singapore. Through Lazada’s mobile app, users will now be able to watch live streams of prominent personalities or play games, all while shopping. “We are at the forefront, the first one to introduce live streaming (among an e-commerce platform) via the Lazada app. Why do we think this is very important? Because we felt building a solution is not only about tools, but more about engaging,” explained Jing Yin, president of the Lazada group. On March 26, during Lazada’s seventh birthday celebration, the Alibaba Group-owned e-commerce company will be live streaming its “Super Party” concert, which will be held in Jakarta, Indonesia. Hosted by Miss Universe 2015 Pia Wurtzbach, the party will be headlined by pop singer Dua Lipa and include performances by popular celebrities from the region, such as the Philippines’ Nadine Lustre and Sam Concepcion. Gamers will likewise have enough reason to stay on the platform since the app allows users to redeem points for vouchers. As of March 21, the e-commerce giant has also launched three games on its “Laz Games” mobile app. These projects are just the beginning. The Lazada Group plans to provide a platform for live streams (vlogs and other video content) by popular personalities in each of the six countries it is present in as well as offer more games in the future. 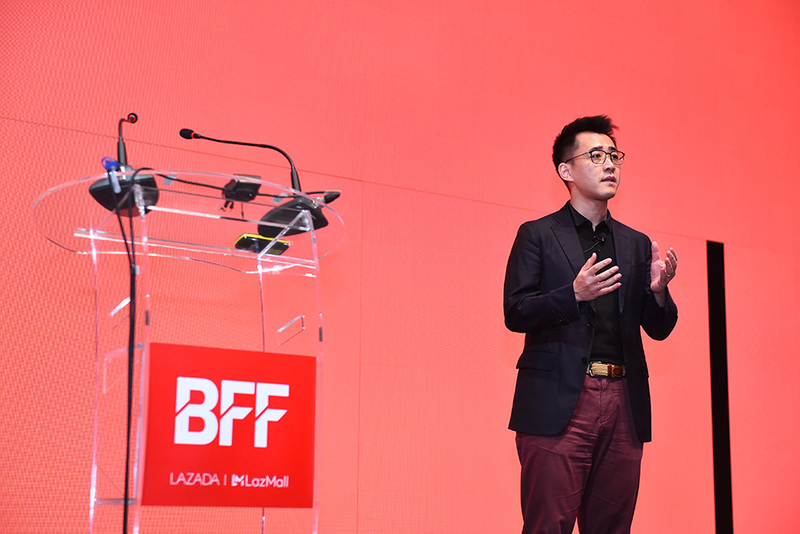 Acknowledging the power of social media, Yin particularly mentioned “YouTubers” and key opinion leaders (influencers) as the big ambassadors of helping brands. “We need to evolve not only just finding products—search, click, buy—we need to also move to make all the experience more fun and entertaining. So [with shoppertainment] you can come on the Lazada platform and not only find great products at great price, but also engage with the merchants, with the brands, and have a conversation. You can consume content, of course related to e-commerce,” Poignant added.